This book is a pocket-sized translation of the Nan Jing. 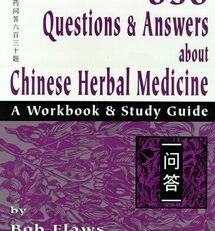 Written in the late Han Dynasty, the Nan Jing is one of the four foundation classics of Chinese medicine. 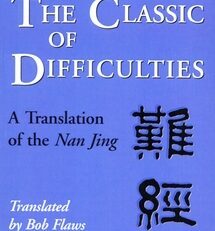 Its full title in Chinese is the Huang Di Ba Shi Yi Nan Jing (The Yellow Emperor’s Eighty-one Difficulties Classic). 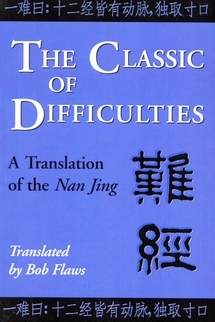 It is called the Eighty-one Difficulties because it consists of 81 chapters, each chapter discussing a difficult, unresolved or unclear issue from the Huang Di Nei Jing (Yellow Emperor’s Inner Classic). 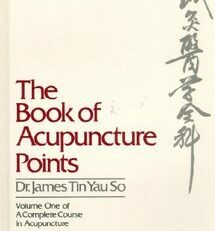 This is the book that systematized pulse diagnosis at the radial arteries on the wrists and that also systematized the use of the 60 transport points in five phase acupuncture. 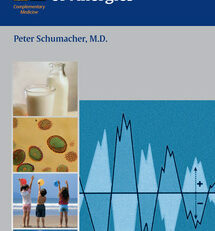 As such, this is a must-read and must-own text for all acupuncturists and serious practitioners of Chinese medicine. 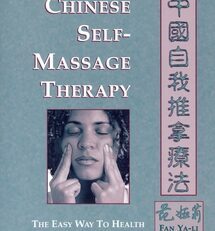 Previous translations of the Nan Jing have either been poorly done by non-native English-speakers, very expensive, or have used scholarly translational terminologies that have little clinical utility for professional practitioners. This is the first English language translation of this seminal classic that is easily portable, inexpensive, and uses a terminology which is both philologically accurate and clinically useful. 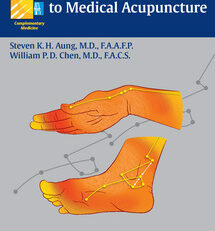 Since this book is so important for all acupuncturists, we wanted to make it available in a very usable and affordable edition. 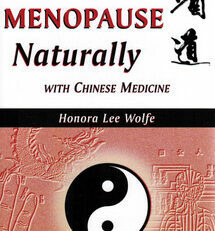 The Nan Jing is one of the four seminal classics of Chinese medicine. These include the Nei Jing (Inner Classic), the Nan Jing (Classic of Difficulties), the Shang Han Lun/Jin Gui Yao Lue (Treatise on Damage [Due to] Cold/Essentials of the Golden Cabinet), and the Shen Nong Ben Cao Jing (The Divine Farmer’s Materia Medica Classic).